Home→Blog→Recap 2018 & What’s Happening in 2019? I wanted to take a moment to thank you for being a part of Cancer Tamer. I have to say I’m thrilled by all the progress we’ve made in 2018 and how Cancer Tamer grew to provide even more opportunities for women with cancer. Though you may already be aware of some of the programs, workshops and events Cancer Tamer produces, I wanted to take a moment to recap them and share with you a few new programs we’re adding for 2019. I also want to share how the Cancer Tamer Foundation will play a new roll in them as well. We have a Spectacular Year planned and would love to have you share in the adventures ahead. As most of you already know, I established Cancer Tamer shortly after being diagnosed with breast cancer in 2016 as I felt there had to be more than just surviving. That word, “survivor,” just didn’t fit with what I wanted out of life. Most important of all, I didn’t want to “be at war with my body.” (This is Cancer Tamer’s motto.) Instead, I wanted to discover new ways to “tame” cancer and more importantly, thrive despite it. 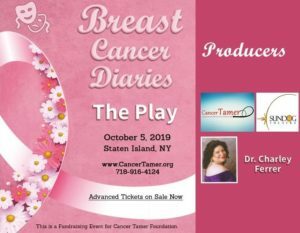 In 2017, Cancer Tamer established a non-profit Foundation which connects with local vendors to provide services and discounts for women with cancer. (Yes, we help men with cancer as well.) Some organizations have provided freebies such as Ship Ahoy’s free standard oil change, and the Beauty Academy which provides a free hair shampoo and blow dry for women after breast cancer surgery. Plus, we continued offering workshops and supportive services to women with cancer. We’re still debating on where we want to go for our big Celebrate Life Adventure this year, so feel free to send us your ideas. Some individuals stated they wanted to return to the White-Water Rafting adventure; others want to go Race Care Driving; and still others Hot Air Ballooning or flying in a BiPlane (think the Red Barone and an open cockpit.) I already envision my white scarf flying in the wind. Be sure to respond to this email with your thoughts and ideas. Feel free to be as adventurous as you wish. You never know if we’ll make that adventure come true. Another program I’m especially thrilled with is our Celebrate Life FUND. We started this program January 2018 with BCB Bank on Staten Island. Basically, you open a savings account with $25 down and no monthly minimum or fees. Then you put in $1 for every GOOD DAY you have during the month, another $10 or $30 for every test result that went well. And any amount you want throughout the week or month just to CELEBRATE LIFE. The amounts are up to you; and of course, it’s 100% your money! How much will you save in your Celebrate Life Fund and what will you do with it is up to you? You can always save up until you’re in remission, but why put off till tomorrow the adventures you can have today?!? To join the BCB Banks Celebrate Life Fund just go to BCB Bank and tell them you’re with the Cancer Tamer group. Issues: ask for the manager, Al Bonadonna or call me. BCB Bank can be found on 1500 Forest Avenue or 354 New Dorp Lane in Staten Island. You can always start this program at any bank of your choice. We are holding a casting call in March (tentatively on March 24) for anyone who would like be in our, “Faces of Breast Cancer” video, and our “Sharing Love & Wisdom” video. This second video will allow you to share one thought, a little hope, and a loving comment with other women with cancer. Yes, the filming will be here in Staten Island. Okay, I can keep going on and on about all the awesome things we’re doing at Cancer Tamer but that’ll be a really long letter—longer than this one. smiles. I look forward to seeing you all at one of our upcoming events. 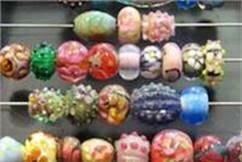 Remember to sign-up for the Glass Beads class immediately as that’s in 2-weeks and slots are limited; and of course, get your tickets to the Breast Cancer Diaries Play.